Stop. I already know what you're going to say. It's too expensive, right? You could build a rig for much cheaper, or some other manufacturer has a better price on a similar configuration. Something like that. And I get you. But that whole mindset changes when you have a really nice piece of electronics like the new Razer Blade in your hands. There's just something about this machine that brings out the technolust. There's also something about having all of your games in something so sleek, thin, and portable. Yes, $2499 is a lot of money, but you're really getting something for that outlay. This year's Razer Blade looks similar to last year's, but they've upgraded it here and there, and have dropped the overall price. You're getting a quad-core i7 (2.2 GHz) Windows 7 machine tucked into a beautiful, slim (not even 1-inch thick) casing, topped with a matte 17.3" screen. Graphics are pumped through the 2GB Nvidia GeForce GTX 660M and 8GB of system RAM, and all of your goodies are stored on a dual drive solution, which uses both a 500GB standard hard disk and a 64GB SSD drive. The left edge of the unit is lined with 3 USB 3.0 ports, an HDMI port, an Ethernet port, and a audio jack. All of this costs $2,499, which is huge heap of cash to drop on a machine of this specification. Oh, and there's no optical drive. But in this world of Steam and other digital distribution outlets, who needs that? There's more to the Razer than just its innards, of course. You're also paying for the design work that Razer put into the Blade. 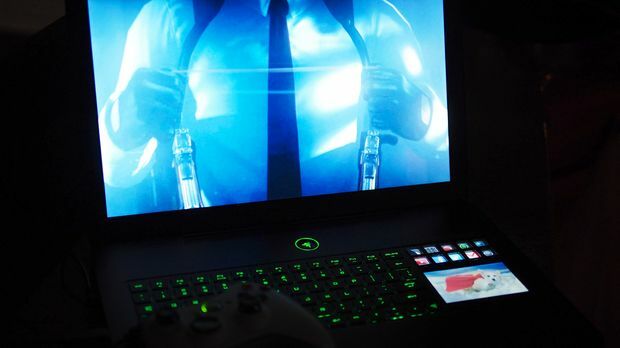 Its sleek design and glowing lights may not speak to all of the gaming masses, but I'm certain there are some out there that want the sharpest, thinnest thing available for gaming, and the Razer would certainly fit the bill. Practical? Not really. But it's not trying to be. The Blade is like sparkling water over flat tap. It's designer clothing made of the finest fabrics over discount department store t-shirts. It's that high-end sports car in a parking lot full of economy compacts. 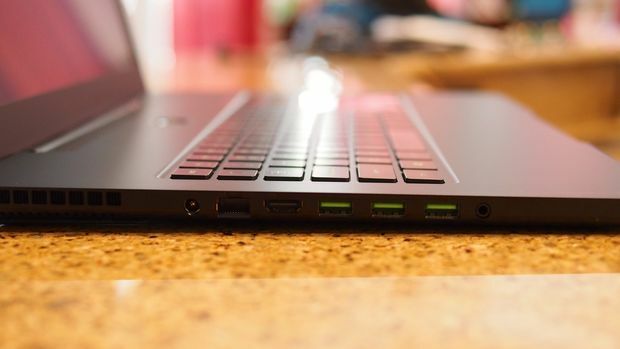 People will definitely notice a Razer Blade. Attention to detail is what speaks loudest when it comes to the Blade's design. Its dark metal and rounded corners makes for a very attractive machine. The backlit keyboard and flat style help out in that department, too. Overall, there's very little in the way of seams and screw holes to be found. On the bottom, rear feet slightly raise the back of the unit from the surface it sits on, keeping the really sharp-looking, silver-rimmed cooling ports free from obstruction. Even the power adapter is thin. Razer didn't miss a mark as far as appearances go. 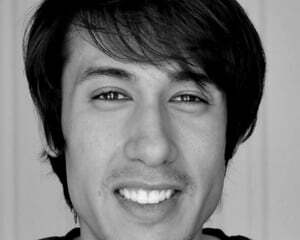 All the looks in the world won't make a damned bit of difference in a deathmatch, though. As you can see from the specs, the Razer is not the fastest thing out there. Its specification and performance are certainly respectable, but it's not to hard to find more power for less money. The 2GB 660M is enough to make full use of the system's 1080p display, however you shouldn't expect to run the latest games on high settings and get a great framerate. 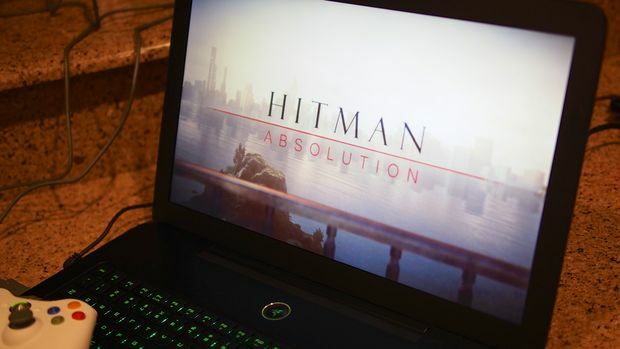 Newer games, like Dishonored and Hitman: Absolution, ran fine on moderate settings. I had no problem running games like XCOM: Enemy Unknown or Alan Wake at all. Coming from my gaming desktop to the Razer had me missing a bit in the framerate department, but for the most part, it held up respectably. Street Fighter X Tekken showed the Blade getting 31.243 frames per second at 1080p and 2x anti-aliasing. If you get a chance to run Hitman: Absolution's benchmark for comparison's sake, know that the Blade scored around 15fps at 1920 x 1080 and on medium settings overall. The game ran much better than that, mind you. These aren't blow-your-face-off numbers, but they're respectable, working out to be more than enough for current games. The screen also holds up nicely, though it doesn't come close to comparing to the screen on a MacBook Pro Retina. It feels huge at 17.3 inches, and it's plenty bright enough to where you don't feel like you're missing anything. Colors are good and blacks are deep enough that you're not cursing the display. Expect to be pleased more than blown away. Overall, it's a really nice, matte screen that had every game I put on it looking great. The speakers are sadly a case of form over function. The thin black grill near the screen hinge of the system looks the part, but whatever is under it doesn't sound all that great. Even moderate-to-high volume settings had the speakers distorting. Midrange sounds, like voices and gunfire, come through clearly, but the low end is nonexistent. 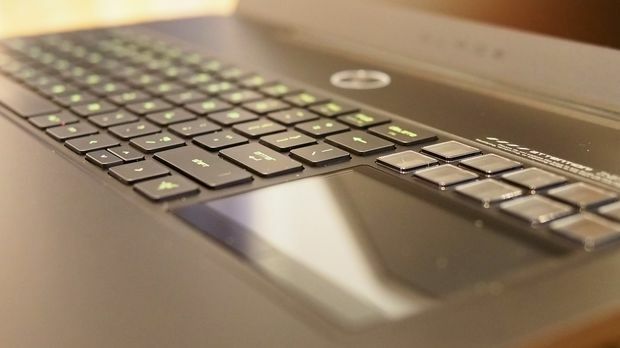 I'm a fan of the Blade's keyboard, which uses the flattened-style keys. They feel great, and backlighting makes them look great in the dark. I don't love the tiny half-sized up and down directional keys, but they're not deal breakers, either. When the lights come up, you'll see your finger grease on the black keys -- there's no getting around that. You'll also see your finger grease all over the Blade's most standout feature, the Switchblade UI. The Switchblade UI is an attractive idea, but it doesn't do as much as you'd like it to. It is 10 assignable keys with individual displays and while its display/touchpad capture the imagination, in practice you'll find that you just aren't doing much with them. The touchscreen makes a fine, responsive multitouch touchpad after you get used to how slick it is. It works as standard touchpad until you go poking around one of the 10 buttons. Poke the number pad one and the touchpad turns into a 10-key touchscreen. Tweet, surf, check your Facebook or email, and even watch YouTube on the little screen if you'd like with other buttons. This all sounds fun until you really think about how silly it is to do these things on that small screen when a big, shiny 17" screen sits directly above it. The pre-assigned functions are a novelty at best. Razer lets you customize any of the buttons with your own functions and images, meaning that you could potentially configure the Switchblade to be really useful. But with both Switchblade UI devices I've had in my office this year, it never worked out that way. While seeing a flying corgi image under the touchpad every time I booted up was always delightful, it was never useful for more than a giggle or two. A major fault in the thinking behind the Switchblade UI is the need to be logged in to access settings. No internet? No settings! In fact, a red banner is displayed across the top of the touchpad if you're not logged in. I can't understand the decision behind this choice. I never imagined that one day I'd have to log into a pointing device. 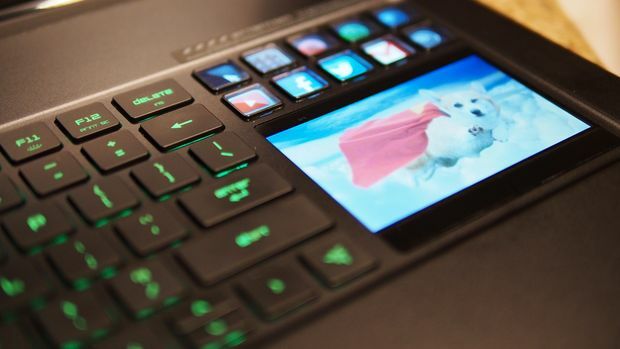 Razer provides a few dedicated gaming applications for the Switchblade beyond this. Games like Battlefield 3 and Counter-Strike get game-specific buttons and functions for the keys. Although it's a neat concept, as of now there's just not enough game support to make Switchblade a must-have feature for a gaming system. As for battery life, no gamer is ever going to try to economize and use the minimum amount of power, so I didn't either while testing it. Playing Dishonored at 1080p, high settings, with near-full brightness and volume most of the way up lasted only one hour and nine minutes. It's a good thing that the power adapter is nice and small. As for non-gaming use, an afternoon of surfing the web at moderate brightness got more than three hours, though Windows had me believing that I'd get much less. Practical? At $2499? No. Not at all. 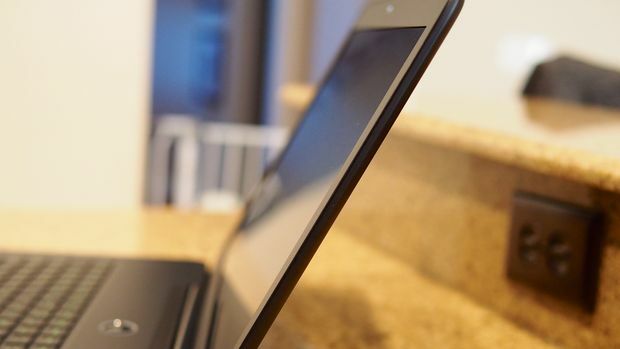 But there are those out there that desire a super thin, beautifully designed, respectable spec'd machine that they can carry around and play anywhere. The Razer Blade is exactly that. And in this world of shrinking devices, it's getting harder and harder to find something portable with a 17" screen. If you game at home, the Blade makes no sense for you. As we said earlier, you can get so much more power for less money. But for those that are always on the go, or for LAN-loving gamers, the Blade is worth considering. If your pocketbook can handle it, that is. I was really bummed to send the Blade back to Razer this week. 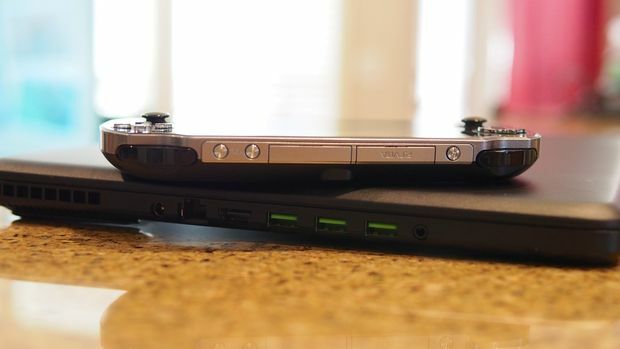 Again, there was something very satisfying about having a thin, sleek and reasonably powerful gaming rig that I could fold in half to be 0.88" thick. During my test period, I quickly fell in love with the idea of having a portable rig like this -- having something under my arm with all my games on it, and enough horsepower to run them all.